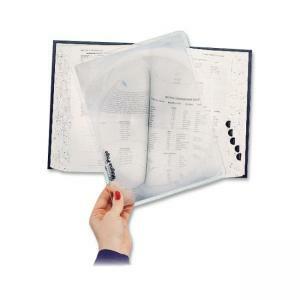 Full-page magnifier offers an easy way to magnify an entire page instead of repositioning constantly with a small magnifier. The 2X handheld magnifier creates an image size twice as large as that which the unaided eye sees at 10". The specially designed Fresnel lens is molded optical-grade acrylic rather than hot stamped for optimum image quality. Fresnel lens technology allows this large-size lens to be much thinner, without the weight and volume that a similarly-sized conventional lens would require. Magnifier includes a protective case.